A few years ago I was hiking the San Gorgonio trail in Southern California with a few buddies when one of them pulled the most savage move I’d ever seen. He knelt beside a creek, unscrewed his water bottle cap, dipped the bottle into the cold water and filled the reservoir with water straight from the river. Then he tightly screwed the lid back on and took a long, hard sip from the straw. Consider my mind blown. I kept waiting for him to spew the water out and call bluff on all of us, but he just went with it. In a “what the hell are you doing? !” sort of panic, I blurted out to him that he was an idiot and has no business drinking water from the river. Come to learn that the joke was on me as he schooled me that what he was doing was perfectly safe. My friend was using an amazing contraption called the LifeStraw – a personal “straw-like” filter developed to filter out virtually all of the microbiological contaminants that make water unsafe to drink. 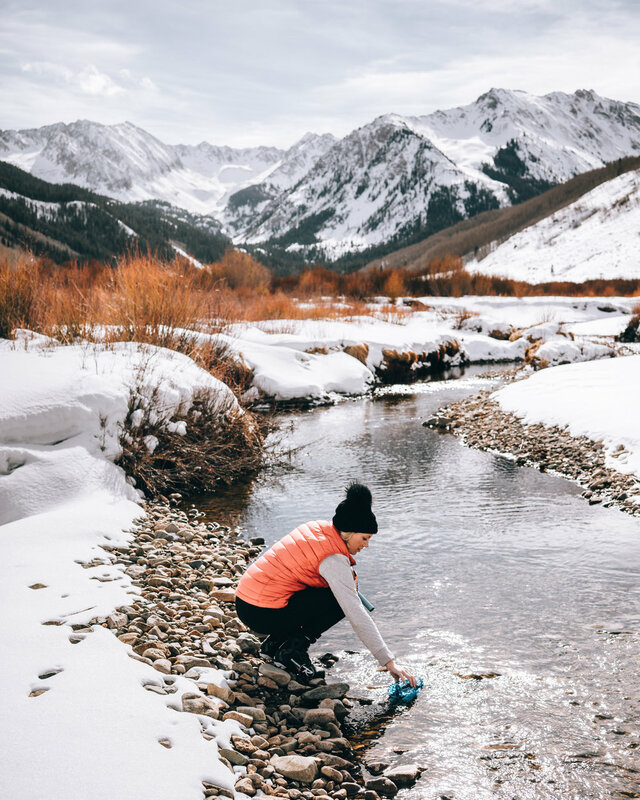 Originally designed for people in developing countries who don’t have clean water, today LifeStraw products are wildley popular amongst outdoor enthusiasts and still used in developing countries. Here’s the best part, LifeStraw is a for-good company on a mission to provide clean water to school kids in Africa and India. For each LifeStraw sold, a child in a community in need receives safe drinking water for an entire school year. I’m all about for-good companies that are using their sales to drive positive change in the world, so I wanted to find a way to get involved with this company. Well I got lucky because next month LifeStraw will be celebrating a huge accomplishment: They will reach their one millionth student served! HOLY SMOKES. Upon deciding this is a celebration I can’t afford to miss, I immediately booked my flight to Kenya to join the team and volunteers in two weeks. While visiting, I’ll get to visit schools in Kenya, meeting the kiddos where LifeStraw Community purifiers are set-up, data is collected, and staff and kids are trained in the importance of clean water. Students will be selected at each school to be responsible for the daily maintenance and care of each LifeStraw Community purifier – a huge symbol of achievement and autonomy for them. LifeStraw implements these programs directly so all contributions from consumer purchases go straight to the program with a 5-year commitment to provide safe drinking water to every child at every school supported. LifeStraw also has 40 full-time, local staff in Kenya who visit the schools supported on a regular basis to maintain the filters, train staff, educate the kids and collect data. Because of my work with SheLift and children with disabilities, I have been assigned to visit a school for special children – cue the waterworks. I’m so excited for this opportunity and the life-changing experience I”m sure to walk away with. I’ve never been this far away from home, and I’ve never participated in a mission trip like this before. I hope you’ll follow along my journey as I’ll be sharing live (lord help me with the time change and internet). Before the journey begins though, I wanted to give the product a go. After all, we will be testing it on a grand scale! Best Road Trip Stops you NEED to Make.